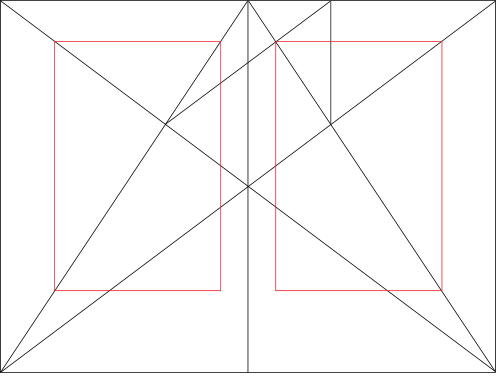 Grids – a series of intersecting vertical, horizontal, and angular guidelines – are often used to help structure content in graphic design, typography or web design. The grid is like a design’s backbone – the invisible system that gives the visible layout its structure and holds everything in place. Sounds straightforward enough, yet grids can be difficult or even scary for designers to embrace. Why? We designers enjoy being in a field that allows our creativity to flourish. A grid system, on the other hand, is a series of straight lines that are precisely and accurately set in place. This embodies some of the contradictions that artists have struggled with for centuries. Freedom versus structure. Creativity versus order. Fluidity versus rigidity. An early form of grids was introduced way back in the 13th century, when architect Villard De Honnecourt devised his famous diagram for producing harmonious page layouts. By scaling important elements up and less-important elements down across multiple columns, I can use a grid to help me to define what I want the viewer to see first, second and so on to help them to absorb the content in an order that makes sense. 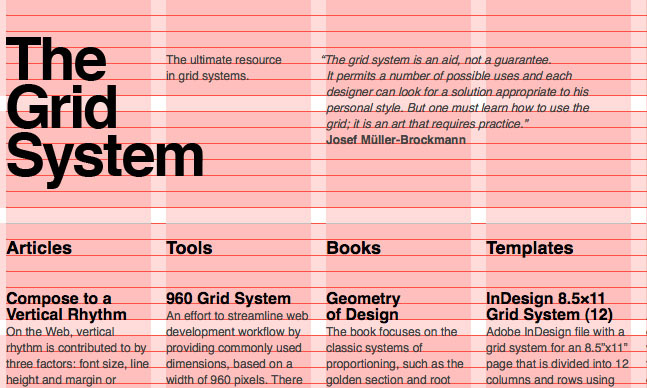 Shapiro, Matthias “Grid System Guide PNGs.” Web blog post. Matthias Shapiro: UX developer & consultant, info vis author & trainer. 2013. Web. 26 October, 2016. 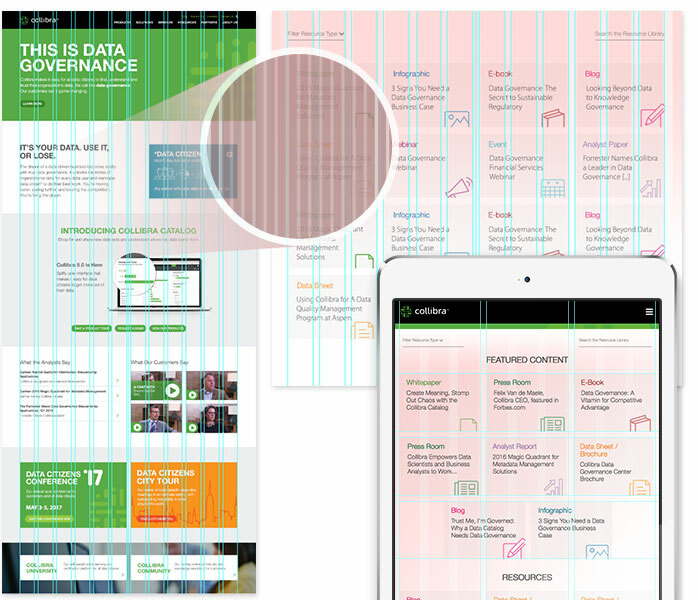 Grids can greatly speed up design time. Instead of randomly positioning elements until I find a decent-looking composition, a grid helps to guide me toward a natural solution because it gives me a foundation to start with. Just as they’re transferrable between page layouts, a strong grid system also makes it possible to share work with other designers while ensuring the end product will have consistency and visual harmony across the board. This website design project for a software firm in NYC relied heavily on grids to enable structured scaling between devices as well as collaboration between Ridge Marketing designers, developers and content managers at the client. An established grid is transferrable from page to page, making it much easier to maintain a cohesive structure throughout page layouts without sacrificing unique elements and design choices along the way. A grid system is a big help, particularly in web design and marketing where we need to seamlessly adjust our designs from large desktops to smaller screens, such as tablets and mobile devices. Having a layout already established within a grid helps components to shift seamlessly from four-, to two- to one-column grids, as screen real estate gets smaller.